Avene Cold Cream is a rich, creamy formula that offers intense hydration to seal in moisture and restore the skin's natural barrier. Ultra rich and creamy formula offers intense hydration and seals in moisture. Protects the skin from drying effects of skin disorders, environmental aggressions or dermatological treatments. 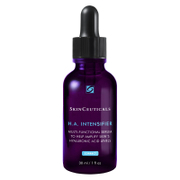 Helps nourish the skin and restore the skin's natural protective barrier. Contains Avene Thermal Spring Water to soothe and soften the skin. Apply twice daily after thoroughly cleansing skin with Avene Cold Cream Emollient Cleansing Gel. Massage in lightly so the cream penetrates completely. Recommended for spot treatments of rough, dry, flaky areas of skin such as heels and elbows. i love this cold cream! i love this cold cream. in my opinion, it should be used at night only - it is very emollient, (some might say 'greasy') it's thick and highly moisturizing. i use it after i put on retina-A cream and often use it the night after retina-A. i wake up to luminous skin. it's calming, and i do like the smell. i have more mature skin, that is delicate, but not sensitive. this is my favorite extra moisturizing option. i would not use or recommend this during the day under foundation - i think it's too thick for that. you'll be shiny. i would only use it during the day if i was in very cold weather conditions. 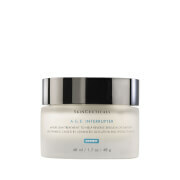 This is a gentle moisturizer that does dot irritate sensitive skin. However, it is so greasy and with such a strong fragrance that I will not be purchasing again. It is definitely way too heavy and sticky for daytime. I would only recommend for nighttime when you don't mid your whole face being shiny. This cream saved my face when I was traveling through France recently. I had a bad irritation caused by dry conditions and travel-stress, (and possibly an allergic reaction to a new product), and as soon as I applied this cream (in conjunction with Cicalfate Cream), my skin felt SO relieved. It is so creamy and moisturizing. It is a greasy cream, but when my skin is this dry, I don't care. It just feels good on my face. I may try the Trixera cream as well, but for now, this is a great moisturizer for my face. I also use the Cold Cream Soap and Cold Cream Body Lotion, which are also really great for my skin.